Glyphosate, Pesticides, Industrial Poisoning and Resulting Neurological Effects? — and Questions Un-Answered? This entry was posted in Biology, Chemistry, Uncategorized and tagged science, technology on August 11, 2016 by John Antone Jaksich - The Silent Astronomer. This entry was posted in Biology, Chemistry, medicine and tagged physical insights, Public Outreach, science, technology on August 10, 2016 by John Antone Jaksich - The Silent Astronomer. The acronym LUCA stands for—Last Universal Common Ancestor. The term is used by astrobiologists and those interested in the evolutionary biology. The geological period of time in which LUCA existed was a point of demarcation from primitive life forms to more-advanced earth-living entities. The importance of LUCA lies in understanding how the three kingdoms of life came from a universal ancestor. Description from Source: A phylogenetic tree of living things, based on RNA data and proposed by Carl Woese, showing the separation of bacteria, archaea, and eukaryotes. Glancing at the phylogenetic tree one gains a sense that there may be a commonality or root to everything. ( It is not an oversimplification as much as it is a functional, mnemonic device.) So for sake of argument, the center point of the tree may be the point of LUCA—the point where red, black and purple branches form a ‘Y.’ It is at the point where RNA-life may have taken the first steps to ‘current’ DNA/RNA commonality. (It would be obvious—to evolutionary biologists, at least—that gaining an understanding of LUCA is tantamount to taking the next step backward to the origins of life.) The complex machinery in present DNA/RNA is like a ‘black box’ problem—one knows what goes in and what comes out–but the manner (or mechanism) is unclear. LUCA is a point of ‘transcendence,’ it is in essence a step in the evolutionary ladder. (Once the mechanism is discerned, the understanding may be harnessed for the betterment of the human condition.) Current evolutionary paradigms utilize a random mutations as a means by which ‘the paradigm advances.’ However, random mutations may literally take eons of time until the fit survive the next step of evolution. It may be the case where an understanding of the transcendence of RNA life to DNA/RNA informs the human condition of how to better utilize life for itself and its progeny. This entry was posted in Astrobiology, Biology, Chemistry, Uncategorized on December 12, 2013 by John Antone Jaksich - The Silent Astronomer. It is no secret that viruses are a bane of modern life—prior to the Bird Flu, Ebola, and HIV most individuals did not put much worry in catching a cold nor the influenza. 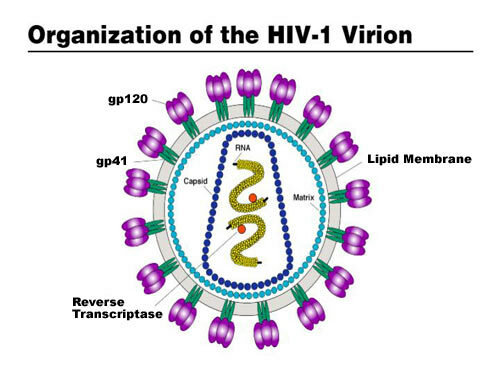 However, the arrival of HIV in the late 1970s opened the eyes of many people—(and HIV’s source seemingly came from ‘monkey meat.’) While all along, the question as to whether viruses were a form of life was hotly debated and still remains partly solved (with the mainstream regarding viruses as non-life). Truth be told, the definition of life is a thorny issue to the majority of biologists. The lack of understanding of viruses plagues the field of astrobiology as well. Googling the terms—viral life and astrobiology will nearly turn up an empty cache. One other remarkable fact is the number of viruses are said to outnumber bacteria by one order of magnitude. (Estimates put the number of viruses at 1031and the number of bacteria at 1030. That is the number 10 with 31 zeros behind it.) Any place there is humanity, you may well find a virus feeding as a parasite. In fact, there are viruses that feed on other viruses. The discipline of astrobiology is studying viruses, and it may help discern the puzzle of fossilized life on the side (see note at end of post). However more to point, I will speak of ‘virus fundamentals.’ Viruses trick their host into ‘believing’ that their chemistry is a part of host’s biochemistry. The virus will attach itself to the ‘wall of its host’ and insert its DNA (or RNA) to make more copies of itself. It is correctly pointed out that viruses play a prominent role in life’s present and past evolution. (Viruses have been a part of the Earth’s biology since near the beginning of life.) And, it is pointed out that by finding ET-viruses it will help us to understand how life may have arisen elsewhere. That argument is put forth because viruses are now found in archaea, the bacterial communities that survive under extreme conditions. It has also has been reported that archaeal viruses may survive for extended periods by coating their exteriors with a glassy silica (related to sand). The likelihood of finding ET-viruses is one which intrigues the astrobiology community. However, scenarios posed show a murky picture at best. If viral entities are found everywhere, it may be nearly impossible to discern ‘infected-life’ from ‘non-infected-life.’ Further clouding the scenario is the mainstream view that viruses are not alive but collections of chemical bags that bear little similarity to conventional life. Matti Jalasvuori, Anni-Maria Örmälä and Jaana K.H. Bamford (2009). On the astrobiological relevance of viruses in extraterrestrial ecosystems. International Journal of Astrobiology, 8, pp 95-100. doi:10.1017/S1473550409004479. Griffin D.W. (2013). The quest for extraterrestrial life: what about the viruses? Astrobiology. 2013 Aug;13(8):774-83. doi: 10.1089/ast.2012.0959. This entry was posted in Astrobiology, Biology, Chemistry, Education, Uncategorized on November 15, 2013 by John Antone Jaksich - The Silent Astronomer. Space Shuttle Atlantis’s three Block II RS-25D main engines at liftoff during the launch of STS-110. This image was extracted from engineering motion picture footage taken by a tracking camera. Photochemistry is utilizing light (e.g. the Sun) to generate a desired (or needed) outcome. Sounds simple enough. . . . Most of us utilize space age technology and conjure our own versions of the technology, as well. For instance when one looks at instances of invention, one notices a cluttered path (at times). It is at those times we gain a sense of personal innovation and possibly inspiration. What could be more inspiring than to gain a mastery over the natural world? Science and engineering journals display articles of genius, innovation and refined curiosity. Often it is not that one has a good idea—we may stumble while implementing the idea. So, given a fertile environment, I contend that we become innovators and tinkerers within our realm. I further contend we can become innovators in wider circle of influence (beyond ourselves) if we desire to do so. The path, then, cannot be so liberally littered by our personal insights as much as getting to the gist of all concerned. Moreover, we need a clarity of purpose. Ideas become reality in instances where one stands upon the shoulders of giants. Costa, Liliana, Maria Amparo F Faustino, Maria Graça P M S Neves, Angela Cunha, and Adelaide Almeida. “Photodynamic Inactivation of Mammalian Viruses and Bacteriophages.” Viruses 4, no. 7 (July 2012): 1034–74. doi:10.3390/v4071034. Goodrich, R P, N R Yerram, B H Tay-Goodrich, P Forster, M S Platz, C Kasturi, S C Park, N J Aebischer, S Rai, and L Kulaga. “Selective Inactivation of Viruses in the Presence of Human Platelets: UV Sensitization with Psoralen Derivatives.” Proceedings of the National Academy of Sciences of the United States of America 91, no. 12 (June 07, 1994): 5552–6. http://www.pubmedcentral.nih.gov/articlerender.fcgi?artid=44034&tool=pmcentrez&rendertype=abstract. Kiesslich, Tobias, Anita Gollmer, Tim Maisch, Mark Berneburg, and Kristjan Plaetzer. “A Comprehensive Tutorial on in Vitro Characterization of New Photosensitizers for Photodynamic Antitumor Therapy and Photodynamic Inactivation of Microorganisms.” BioMed Research International 2013 (January 2013): 840417. doi:10.1155/2013/840417. O’Brien, J M, D K Gaffney, T P Wang, and F Sieber. “Merocyanine 540-Sensitized Photoinactivation of Enveloped Viruses in Blood Products: Site and Mechanism of Phototoxicity.” Blood 80, no. 1 (July 01, 1992): 277–85. http://www.ncbi.nlm.nih.gov/pubmed/1319237. Novo, E, and J Esparza. “Tetracycline-Mediated Photodynamic Inactivation of Animal Viruses.” The Journal of General Virology 45, no. 2 (November 1979): 323–9. http://www.ncbi.nlm.nih.gov/pubmed/120411. Simonet, Julien, and Christophe Gantzer. “Inactivation of Poliovirus 1 and F-Specific RNA Phages and Degradation of Their Genomes by UV Irradiation at 254 Nanometers.” Applied and Environmental Microbiology 72, no. 12 (December 2006): 7671–7. doi:10.1128/AEM.01106-06. Vigant, Frederic, Jihye Lee, Axel Hollmann, Lukas B Tanner, Zeynep Akyol Ataman, Tatyana Yun, Guanghou Shui, et al. “A Mechanistic Paradigm for Broad-Spectrum Antivirals That Target Virus-Cell Fusion.” PLoS Pathogens 9, no. 4 (April 2013): e1003297. doi:10.1371/journal.ppat.1003297. This entry was posted in Astrobiology, Astronomy, Biology, Chemistry, Education, medicine and tagged Astrobiology, innovation, technology on October 26, 2013 by John Antone Jaksich - The Silent Astronomer. Post based upon an elaboration of a chapter in the book: Frontiers of Astrobiology, (Characterizing Exoplanet Atmospheres, chapter 13 author—Giovanna Tinnetti) [Drs. Impey, Lunine & Funes –editors (Cambridge University Press 2012)]. I hope to further elaborate upon a handful of other chapters, as well. The author of chapter 13 draws the reader into exo-planet spectral characterization—specifically stating the case for ESA’s future probe, EcHO. Current space-based telescopes do not possess the technological capabilities for spectral analysis of distant “earth-like” exo-planets. The cloud map of Kepler 7b is obtained in part from reflected light (the host star is utilized as a light source for cloud discernment). Nominally speaking, the cloud map of Kepler 7b seems to indicate a non-habitable world. For sake of argument, how can “we” further discern cloud characteristics of Kepler 7b? What are the component(s) of the clouds? Infrared spectroscopy is key to Kepler 7b’s component characterization. The duty may eventually fall to the next generation of space-based telescopes. EcHO (when and if launched) provides an unprecedented view of the components of exo-planet atmospheres—namely, the successful quest of a habitable exo-world is paramount to de-provincializing the Earth. Our planet, in many ways, is much the way that Galileo would have interpreted it centuries ago—so much so that we “still” consider ourselves the only kids on the block. EcHO, when successfully deployed, will possess the ability to characterize stellar companions similar to ones in our Solar System. The manner of discernment is to image the planet(s) via transit spectroscopy—in short staring at a part of the sky known to possess an exo-solar system. This entry was posted in Astrobiology, Astronomy, Biology, Chemistry, Education, Science, Space, Technology on October 5, 2013 by John Antone Jaksich - The Silent Astronomer. Water, life’s solvent, is the current yardstick by which scientists use to characterize earthly life and is in part the basis for understanding the “Goldilocks zone.” As a result of life’s watermark, it is often assumed that where there is life—water is nearby. That statement, by itself, is more complex than most can appreciate. Early earth did not have “enough” of life’s present necessities—one primary element comes to mind, reduced phosphorous. When one looks for phosphorus—the primary form that is found is in oxidized form. Chemistry, as we know it, needs reduced phosphorus to readily form the phosphate groups in RNA and DNA. The elementary chemistry of nucleotides (that of RNA and DNA) is notoriously difficult in the laboratory—so much so that science at present cannot hope to fully elucidate the origin of life. The oceans of the early earth were far more conducive to forming life’s early molecules and possibly even more so at or around hydrothermal vents (a source of heat energy). Reduced phosphorus is found in sedimentary layers of the Earth’s crust—and is a predominant mineral found in SNC –meteorites (meteorites that are primarily carbonaceous chondrules that contain iron-nickel-phosphorus minerals). The chemical nature of phosphorus on earth is such that it is in the predominantly oxidized form—as chemical thermodynamics dictates. Thus, examination of phosphorus “thermodynamic phase diagrams” indicates that early earth conditions (specifically during the Archean)—favored the reaction of reduced phosphorus with prebiotic soup of the time period. In papers by Pasek and others, mounting evidence may point toward the Late Heavy Bombardment of the Archean era as one likely source for reduced phosphorus. Through the sampling of “archean sedimentary rock” it seemed as if prebiotic conditions were conducive to RNA-world life. The reasons for the hypothesis are time of the Late Heavy Bombardment, and presence of schreibersite (nickel-iron-phosphorus containing) meteoritic material in the sedimentary layers. Although further evidence is warranted so as to be conclusive, layers of sediment from Australia are indicative of reduced phosphorus being present. (At the time of this writing, Dr. Steven Benner at University of Florida announced the intriguing hypothesis that life may owe its origins to Mars due to the relative paucity of water, and readily available metal ions needed stabilize early nucleotides; e.g. RNA and DNA. )—It should be noted that most SNC-meteorites originate from Martian crust. Pasek, Matthew a, Jelte P Harnmeijer, Roger Buick, Maheen Gull, and Zachary Atlas. 2013. “Evidence for Reactive Reduced Phosphorus Species in the Early Archean Ocean.” Proceedings of the National Academy of Sciences of the United States of America 110 (25) (June 18): 10089–94. doi:10.1073/pnas.1303904110. http://www.pubmedcentral.nih.gov/articlerender.fcgi?artid=3690879&tool=pmcentrez&rendertype=abstract. Pasek, Matthew a. 2008. “Rethinking Early Earth Phosphorus Geochemistry.” Proceedings of the National Academy of Sciences of the United States of America 105 (3) (January 22): 853–8. doi:10.1073/pnas.0708205105. http://www.pubmedcentral.nih.gov/articlerender.fcgi?artid=2242691&tool=pmcentrez&rendertype=abstract. Pale Blue Blog– Men are from Mars and Women are from Mars, too? By: S. DOMAGAL-GOLDMAN. http://www.astrobio.net/paleblueblog/?p=2067. This entry was posted in Astrobiology, Biology, Chemistry, Education, Evolution, Science, Uncategorized on September 7, 2013 by John Antone Jaksich - The Silent Astronomer.